The best one-stop shop for shipping vehicles bought at auction. Car owners often don’t give much thought to what it takes to transport a car or why they may need the service. They believe that cars themselves are meant to take people from one place to another, so why hire a “car transport” service provider? However, there may be instances wherein you need the help of an expert to move your vehicle. Let us delve deeper into the subject, analyzing three scenarios wherein you need to hire a car transport service. Read on. At some point in your life, you probably would have to move across a town, state, or even country, for several reasons. For instance, you may have to change your base because a new work opportunity; maybe you are a US defense service-member who needs to relocate often; or maybe, you are moving in closer to your family. No matter the reason, relocating to a new place can be a tedious affair, especially if you have to move a long distance or are in a rush. The task is even more challenging if you are planning to move your car, too. In such scenarios, hiring a car transport service is an easy way out. Not everyone is a car connoisseur. Those who are, however, absolutely dote their prized possessions. Driving vintage and classic cars for long distances may not be feasible. This presents them with the issue of how to transport their vehicles to car shows, holiday parades, or other similar events. Hiring a competent car transport service, again, gives you an easy way out of the problem. 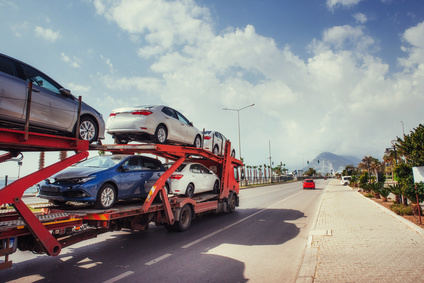 Especially when you opt for enclosed auto transport, you can be rest assured knowing that your car is in safe hands and will be delivered in time. Those who prefer a snowbird-like lifestyle and have homes in two or more different states, often change their bases with every season change. If you too can relate to the statement, taking your car along would help you ensure unrestricted movement, no matter where you go. Similarly, if you are taking a sabbatical or moving to someplace for research, it makes complete sense to have your car moved to your new location. All you need to do is hire a licensed car shipping company to transport your car to the desired destination. Any competent car shipping company would make sure that you receive the custody of your vehicle without any damage. Whether you have purchased a car online, from a dealership in another county or are relocating for a personal reason, hiring a reputable car transport service provider is sure to ease the troubles involved. It is, however, important to clarify all the factors that determine the cost of move, before you sign on the dotted line. If you have any question regarding car transportation, or are looking to hire a reliable car transport company, Easy Haul can help. Simply fill out our contact form and we’ll take it from there.